The Reds’ hopes of following up the penalty shootout win over Reading in midweek were dealt a double blow in the opening 10 minutes of this Merseyside derby. Chantelle Boye-Hlorkah and Simone Magill gave the Blues a firm advantage in the early stages of the Group Two North encounter. Vicky Jepson’s side soon got themselves back into the game, though. Niamh Fahey provided the lifeline for Liverpool, coolly volleying Yana Daniels’ cross beyond the goalkeeper to quickly halve the deficit. 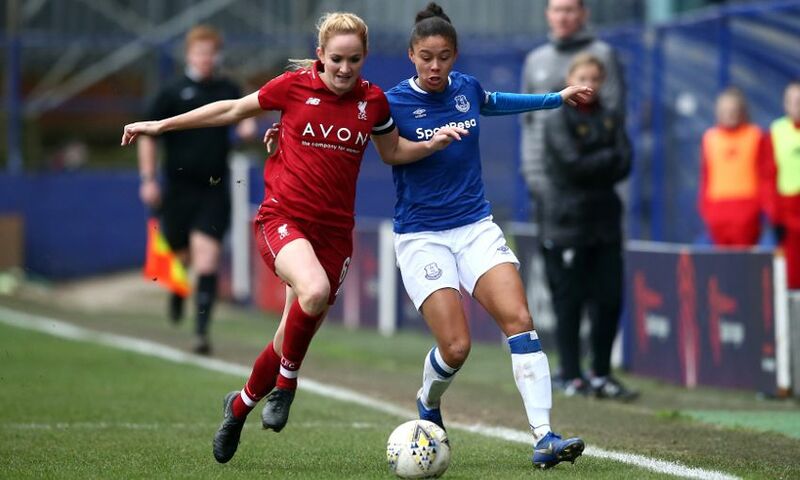 But their ambitions of completing a comeback were doused just as rapidly; Elise Hughes notched the match’s fourth goal – and Everton’s third – on 18 minutes. Laura Coombs hit the crossbar midway through the second half but there were no further additions to the scoresheet, meaning defeat for the Reds. Liverpool FC Women: Kitching, S. Murray, Bradley-Auckland (Rodgers, 83), Matthews, Robe, Fahey, Roberts (C. Murray, 55), Coombs, Clarke, Daniels (Thomas, 70), Sweetman-Kirk.